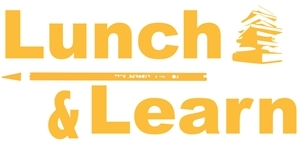 The Student Success and Engagement team’s next AT&T Lunch & Learn event will be held on Thursday, Feb. 18 at 11:15 a.m. in the 1862 Lounge. The topic discussed will concern preparation for graduate school. Attendees will learn about the following things: understanding opportunities to fund a graduate degree, how to identify programs to match career and academic interests and an understanding of the benefits to earning a graduate degree. Students are encouraged to register for the event on Career Connect and to contact a member of the Student Success and Engagement team for more information.